While playing around with the filter of the DK2 camera, I noticed, that my desk lamp seems to emit a lot of light in the (near) IR spectrum and I could see through the filter using my phone. Most digital cameras see some IR light and you can test this by pointing your (smartphone) camera at a remote or DK2 headset. I could also see through the filter with my naked eyes, just not very much – my lamp was just a greenish light source. The black plastic of the Rifts headset has to be somewhat transparent to IR light as the IR LEDs used for tracking are behind it. So I quickly taped the filter (which you can remove from the Rifts camera by a small counter clockwise rotation) on the phone and placed the lamp as close as possible to the Rift without getting into the field of view of the camera to not mess up the exposure. 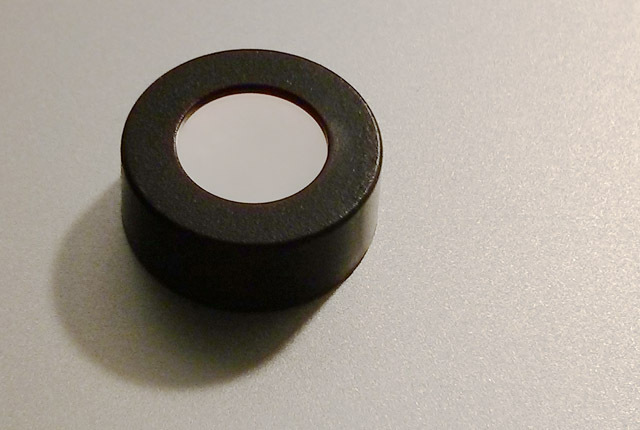 Oculus Rift DK2 IR filter. 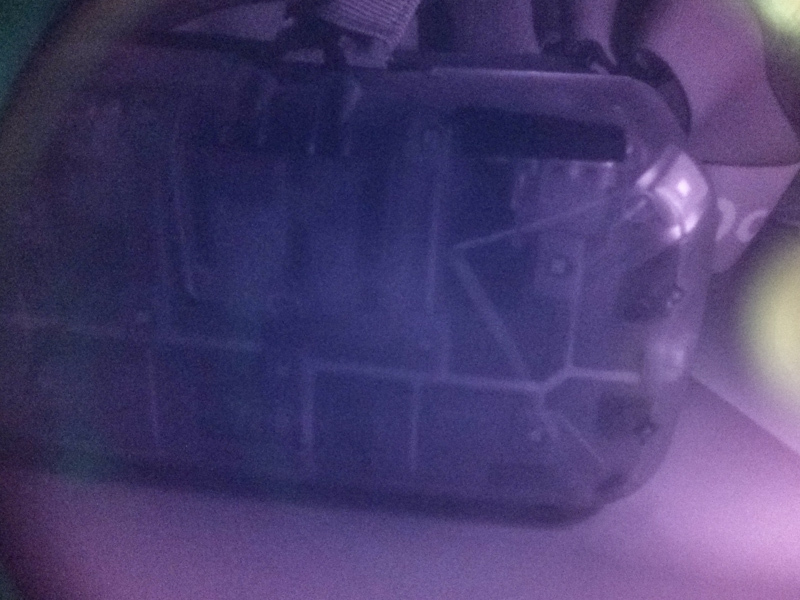 Below are some images in which you can see the inside of the Rift, visible are some LEDs (which were off when the photos were taken), the LED wires, USB and HDMI connectors as well as the additional USB plug. The photos were taken with 1/13s exposure, 1700 to 1800 ISO and pushed another 2/3 stops in post-processing. Note that this is not what the tracking camera sees, the exposure is more likely set to a much lower value where the LEDs are visible but nothing else to make the tracking easier. 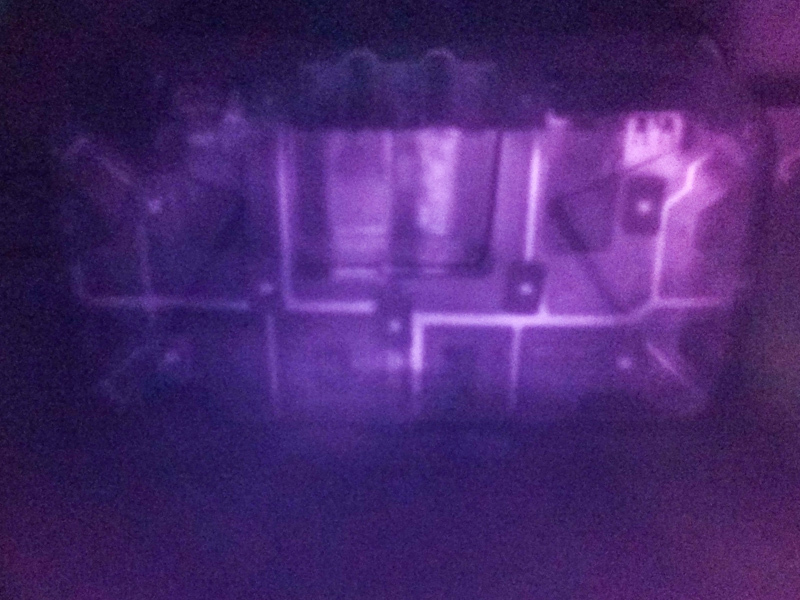 Oculus Rift DK2 seen with an IR filter: Clearly visible are the top LEDs. Visible LED wires of the Rift DK2 as well as the USB and HMDI connectors. 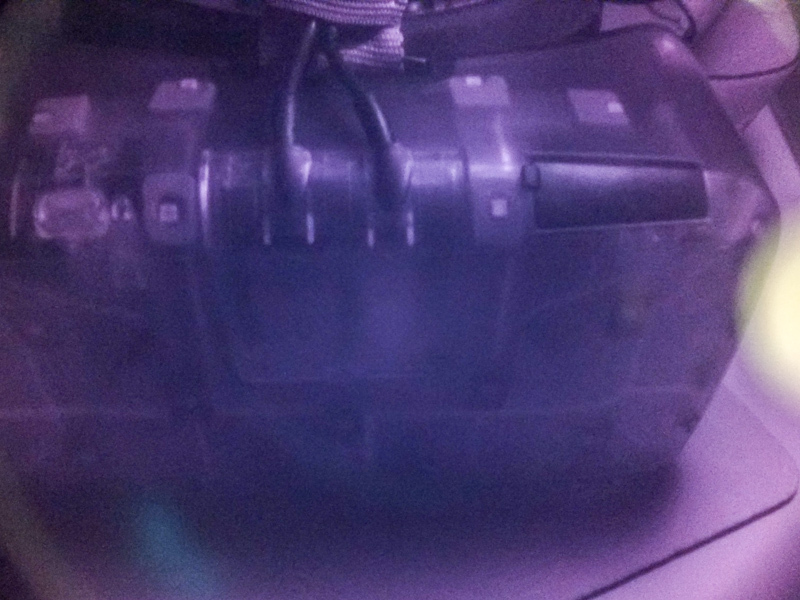 Oculus Rift DK2 seen with an IR filter.